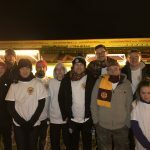 On Saturday evening into Sunday morning, a small band of ‘Well supporters took part in the first ever Fir Park Sleep Out. The event was organised by the MFC Podcast in support of Shelter Scotland, Motherwell FC Community Trust and the Motherwell Disabled Supporters Association. A night in the cold and rain was more than worthwhile for those taking part, with the latest total of monies raised standing at £1400. MFC Podcast host, Andy Ross was delighted following the success of the event. “It was a long night at times, but everyone helped each other through,” he said. “For us this was only one night in the cold and wet, the unfortunate reality is for thousands of people across Scotland are facing this every night. “Hopefully tonight’s event will make a small difference to helping win the battle against homelessness in Scotland. “I’m really pleased at how the event went, I can’t thank the team at Security Scotland and St Andrew’s First Aid enough for their presence on the night, as well as Motherwell FC and Robert Park for accommodating the event. Motherwell fans are set for a night at Fir Park with a difference on 23 March. 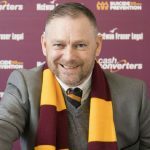 Almost 20 fans have already signed up for the first ever Fir Park Sleep Out, which will raise funds for Shelter Scotland, the Motherwell Community Trust and Motherwell Disabled Association. Supporters will spend the night sleeping under the stars at Fir Park with only a sleeping bag to protect them against the elements. It’ll be a somewhat different experience from the usual 3pm on Saturday experience the Steelmen faithful are used to, but organisers, the MFC Podcast are hoping it’ll be a great success. “There’s been so much work went into the event so far,” they explained. “Thankfully the response has been very positive with fans from far and wide signing up. ‘Well stars Jake Hastie and David Turnbull have already shown their support for the event and the organisers are currently on the look out for an event sponsor. 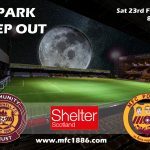 You can sign up for the Fir Park Sleep Out HERE, while those unable to take part can support via the MFC Podcast website or by sponsoring any individual fan taking part. After consultation with the safety team at Motherwell F.C. the Fir Park Sleep Out will now take place 23 March 2019. Earlier today (Tuesday 19 February) we were notified by our first aid representative that unfortunately they would no longer be able to work at the event. Health and safety requirements for the event require a dedicated first-aider, without this the Sleep Out can’t go ahead. We have spoken to those taking part and the decision has been made to put back the event until Saturday 23 March. After all the hard work that has went into the organising process for the Sleep Out, it’s obviously is disappointing that we won’t be going ahead on the scheduled date. Everyone involved in organising the Sleep Out would like to take the opportunity to thank all of those who have donated/ signed up for the Sleep Out and look forward to a successful evening. Places for the Sleep Out remain available – you can register here. Registration Fee: £25 – Following registration, all participants should set up a Just Giving page for their individual fundraising. All monies raised through Just Giving should be donated no later than three weeks after the event. All participants will receive an event t-shirt and there will be live performances from local acts during the evening to keep up our spirits in the cold. – Please note there are no tents allowed at the event – this is an under-the-stars experience. – Please do not bring valuables to the event. The event is open to participants over 16 only. Those aged between 16 and 18 must be accompanied by a guardian aged over 21. Please help us by using bins provided and clearing up your immediate sleepzone space before you depart the event. Please do not leave your outdoor kit behind when you leave the event. If you are on any medication for an existing condition, make sure you take your medication with you in adequate amounts for the duration of the event. If you suffer from any pre-existing medical conditions, regardless of severity, please consult your GP before signing up. If approved by a GP to attend with a medical condition, please make sure you have written information detailing your condition and any medication required. What age do you need to be to do the Sleep Out? 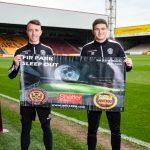 You must be aged 16 or older to take part in the Fir Park Sleep Out. Participants aged 16-17 must be accompanied by a responsible adult aged over 21. Would any pre-existing health issues restrict participation? We want everyone who participates in the sleep out to have a safe and enjoyable experience. If you have any pre-existing health conditions with which you are concerned about sleeping outside in winter, please seek professional medical advice ahead of registering for the event. Will alcohol be served, or can I drink alcohol at the event? No, the Fir Park Sleep Out is a dry event. Due to the dangers of consuming alcohol and being exposed to cold winter conditions overnight, there will be no bar facilities at the event and strictly no alcohol can be brought into the event. Hot drinks and food villages will be available throughout the night. Will hot drinks be served at the event? Yes, we will be serving hot drinks all night should you need a warm-up. Will we be sleeping in tents? No. The challenge will be to sleep outside without any cover. Participants will be sleeping on the John Hunter Stand side of Fir Park, with only your sleeping bag and plastic sheet for protection. Many people around the country have to do this every night, could you do it once? You need to bring your own: Warm Sleeping Bag, Winter/waterproof Jacket, Hat, Gloves, All appropriate Warm Clothing and a Sleeping Mat if you want one. 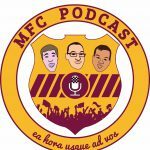 The MFC Podcast with support from Motherwell FC Community Trust and the safety and security team at Motherwell F.C. We will be opening doors to the event at approx. 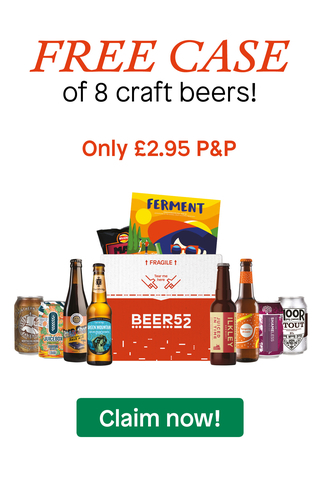 7.30pm on Saturday 23 February. Can I leave the event and come back into the arena throughout the night? No. For security reasons, once you have entered our security area and into the event area you will not be permitted to leave and gain re-entry. If you decide to leave the event you cannot be re-admitted. How long do I have to sleep outside? The sleep-out will finish at approx. 6.00am Sunday 24th February. Strictly no dogs or other pets are permitted into the Sleep in the Park event. Leave Mutley at home in the warm. No, for safety reasons Sleep in the Park is a strictly dry event. Due to the dangers of consuming alcohol and being exposed to cold winter conditions overnight, there will be no bar facilities at the event and strictly no alcohol can be brought into the event arena. Bag searches will be conducted on entry to the event and any alcohol with be confiscated and destroyed. Any persons found to be consuming alcohol within the event arena will not be allowed to participate in the sleep-out and will be removed from the arena. Will I actually get any sleep? Not a lot, but you will be part of a unique event experience, coming together to help raise awareness of homelessness. What if it is bad weather? The event is taking place in Scotland in the middle of winter, we know it will be cold. Weather conditions will be monitored in the week leading up to the event and forecasts reported via our website and social media. You must dress appropriately for an outdoor winter event. If rain is forecast, waterproof clothing and a plastic sheet to protect your sleeping bag are essential. Only extreme weather conditions would result in event cancellation. Sparra and Jay go over the disappointing defeat at Livingston, look ahead to meetings with Celtic and Hearts, discuss record profits at MFC during 2017-18, Chilli D and more. 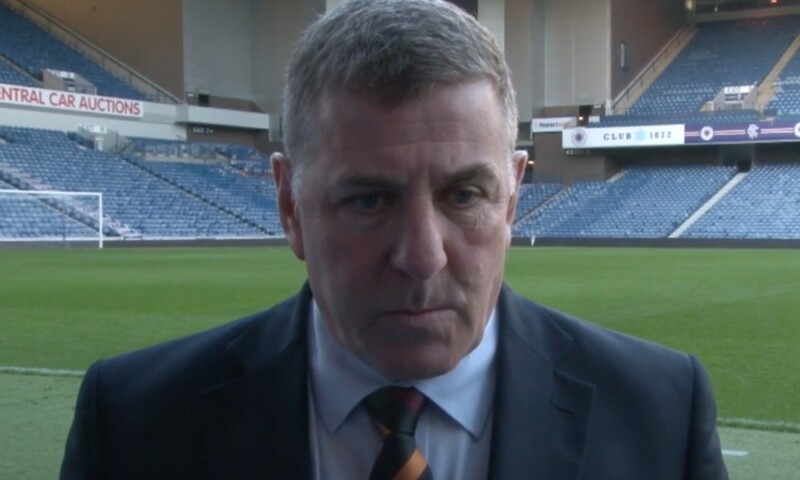 Mark McGhee describes it as an ‘injustice’, but a night that clearly holds great pain for the former Motherwell manager was just the tip of the iceberg in what was an incredible last month in charge for the former Fir Park boss. McGhee was in his second spell as boss of Motherwell, having returned in October 2015, following the sacking of Ian Baraclough. In his first spell in charge of the Steelmen, he helped guide the team into Europe for the first time in 13 years, his team played some of the best football seen at Fir Park in many years and he demonstrated great leadership and human qualities in the aftermath of Phil O’Donnell’s tragic death. However, despite a relatively successful first spell, many ‘Well supporters were vocal in their opposition to his return to the club. 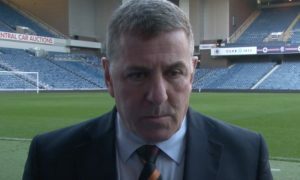 Among the reasons for the disapproval regarding McGhee’s return were a disappointing second season during his first spell in charge, that he had declared interest in several other jobs while in the role as boss at Fir Park and perhaps the biggest of them all, Mark McGhee’s persona and arrogance weren’t traits that helped get the fans onside. On his return, McGhee steered a struggling side to a fifth-place finish, but the team struggled to replicate their form from the closing stages of the previous campaign at the beginning of the 2016-17 season. Heading into the winter break, Motherwell found themselves in ninth place, four points above Hamilton who occupied the relegation play-off position. While the break often provides clubs with the opportunity to regroup and prepare for the all-important conclusion to the season, it seemingly had quite the opposite effect on McGhee and his squad. The former Scotland assistant packed in a great deal to his last month in charge of the Steelmen and while he portrays the victim and a man who suffered great injustice in a recent BBC interview, his eventual fate came of little surprise to anyone who witnessed his quite extraordinary final month in charge. When Louis Moult headed Motherwell ahead with 16 minutes remaining of their Scottish Cup fourth round tie against Rangers at Ibrox they were closing in on making history. The Steelmen were heading for their first ever victory over Rangers in cup competition and to heap further misery on under pressure Gers boss Mark Warbuton. Fast forward to the full-time whistle and the headlines had been rewritten, in quite extortionary fashion. Kenny Miller netted twice in the final six minutes of the game and Motherwell had snatched defeat from the jaws of victory. Shortly afterwards, a clearly crestfallen McGhee spoke to Motherwell’s YouTube channel, he appeared close to tears and distraught. He explained how he felt ‘hollow’, ‘let down’ and that at that point in time he ‘couldn’t give a monkey’s’ about how his players were feeling – the most excruciating post-match interview ever. When speaking to the press, the ‘Well boss also claimed that striker Scott McDonald, who had missed training for most of the week prior to the game had injured his back ‘carrying the rest of the team’. Reports would later confirm that the Aussie had been left out as his head was ‘all over the place’ following the collapse of a transfer which would have seen him return to his homeland. Depending on what version of events you believe, McDonald never had any sort of injury at all, instead he simply refused to train. As a Motherwell supporter who was at Ibrox that day, I must confess it was one of the most stinging defeats in recent memory (and there are quite a few to choose from), however much of the pain evaporated to be replaced by anger when hearing McGhee’s comments. Surely it was his job of the manager to protect his players? Yet instead he had stood in front of the camera and made it all about Mark McGhee, how bad he felt, how he couldn’t care about how the players felt and how he would have to spin his players a lie to somehow prepare them for their next Scottish Premiership fixture – a home meeting with Rangers. The league fixture at Fir Park took place exactly a week after the Scottish Cup tie and within five minutes the match was sparked into life as Michael O’Halloran caught Well’s Carl McHugh high on his thigh and subsequently was shown a straight red card. It was an incident that brought some hope to the ‘Well supporters and presented a good opportunity to go some way to avenging their Ibrox heartache, but again there was a twist. McDonald’s late lunge on Miller was deemed reckless by Willie Collum and after 27 minutes both sides were down to 10. It took until the 72nd minute for the opening goal to arrive and again it was Miller who put the ball in the net. Emerson Hyndman added a second with three minutes left to secure a 2-0 victory for Warbuton’s team and send Motherwell into tenth spot. Though it had been a poor performance and another disappointing defeat, but in direct contrast to the previous week, McGhee sang the praises of his team after losing the game and also sighted the ‘poor decision’ to dismiss McDonald as the turning point. “We’ve got a lot going for us. We’ve got a great spirit, a great energy, determination about us and I’ve told them we have to accept we got beat by a team that passed the ball better,” he said. “Seeing it again (the sending-off), it’s probably a poor decision, but it’s not done to even things up, he thinks it’s a sending-off. Three days later, ‘Well would bounce back with a 2-1 win at Ross County, a result that saw them jump into the top-six, despite only holding a four-point advantage over local rivals Hamilton who continued to occupy the relegation play-off spot. McDonald bounced back from the disappointment of his red card with the opening goal and his manager was glowing in his praise for the striker and his contribution to the team following the match. It was to be a short-lived reprieve for Motherwell and McGhee, when Hearts visited Fir Park for their next Premiership match. The visitors would inflict a heavy 3-0 defeat on the Steelmen and for the second successive home game, ‘Well were reduced to 10, after McHugh was ordered off. It was a game changing decision, that occurred eight minutes into the second half and with the score at 0-0 – from that point forward Hearts controlled proceedings. They took the lead with a deflected effort just before the hour mark and then Esmael Goncalves struck twice in a four-minute spell towards the death to cause further misery. The 10 day break due to the Scottish Cup, brought another chance to regroup for McGhee and his players and despite increasing murmurings of discontent from the fans, they still found themselves in the top half of the league. Motherwell returned to action with a trip to Pittodrie for a rearranged league fixture. It was to be a night that has continued to haunt McGhee ever since and one in which he believes ended his time as a club manager in Scotland. By half time Aberdeen led 4-0 and in relentless fashion Adam Rooney bagged two more goals to complete his hat-trick. 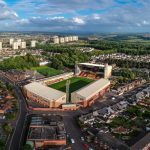 While his team were suffering on the pitch, McGhee was sent to the stand where he suffered abuse from the Dons fans as well as a confrontation with one supporter – a video that quickly went viral across social media. The game finished 7-2 to the hosts and with that result it appeared the Motherwell support were unanimous in the view that it was time for the manager to go and quickly! Afterwards McGhee described his dismissal as ‘diabolical’ and suggested there was an ‘aggressive and hostile’ agenda against him. Following an SPFL hearing, McGhee would receive a six-match touchline ban, a punishment he is yet to serve. A visit to Celtic Park to face then five-in-a-row champions was hardly the perfect opportunity to get back to winning ways and there were real fears that having lost seven goals only days earlier, that the Hoops could rack up a cricket score. Trailing 2-0 at half time, McGhee’s side showed some resolve as they defended manfully to a clean sheet in the second half. While hardly a confidence booster, the Celtic game a week prior had shown that Motherwell weren’t anywhere near as poor a side as they had shown at Pittodrie, however their season took yet another twist off the rails when they hosted Dundee. A comedy own goal from Zack Jules had given the visitors the lead, before Moult levelled matters after 22 minutes. 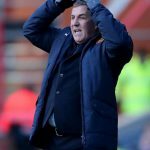 What followed was a hammer blow to McGhee’s tenure as manager. ‘Well conceded four times in 18 minutes before the break to trail 5-1. When the players reemerged for the second half, Fir Park was had almost emptied, some fans headed home, some to the pub, but many also congregated outside the stadium – demanding the sacking of the manager while the game was still in progress. “I’d be arrogant if I thought a 7-2 defeat at Aberdeen and a 5-1 loss at home doesn’t put me under pressure – of course it does,” McGhee said after the game. McGhee was still there on the Monday, although by the Tuesday his second tenure at the club was over. Motherwell had lost all four of their fixtures in February, conceding 17 goals and scoring just three. His successor, Stephen Robinson managed to steer the club to safety in the penultimate game of the season. “At the time I left we had a couple of injuries, particularly to the back four,” he told BBC Scotland. “We were still cobbling together a few results. Some of our performances prior to that Dundee game. Quite extraordinary arrogance from a manager that had guided to just two wins in his last 14 games in charge and had suffered a series of crushing defeats during his final month in charge. McGhee’s time as Scotand assistant came to an end in October 2017, the following month he took over the managerial reigns at Barnet, a position he held for just two months before assuming a ‘technical role’ and eventually being dismissed altogether in March 2018. Since then he claims to have been involved in everything from e-sports to booking Ed Sheeran for a concert in Dubai. Despite this strange twist in his career, I doubt it comes close to that final month in charge at Fir Park. Sparra and Busta are joined by Keith Lasley to look back at the 2012-13 season, a campaign of many highs including Champions League football coming to Fir Park, James McFadden returning to the club, securing second spot as well as both Michael Higdon and Stuart McCall triumphing at the end of season awards. We also get an insight on how Keith feels the team are shaping up ahead of the new Scottish Premiership season. Due to sound issues in sections of the podcast, some of Sparra’s audio had to be re-recorded, we have spent a number of hours trying to fix these issues and hope it in no way spoils your enjoyment of this episode. It’s 10pm. Eddie Wolecki Black and his Motherwell Ladies side have been on the go for almost 12 hours. The mood on the bus has lifted after a stop at Pizza Hut and the players seem to be trying to put the 1-1 draw with Aberdeen hours earlier to the back of their minds. Wolecki Black however, seems unable to switch off from all things football. He has his head buried in Johan Cruyff’s autobiography, following a few hours of watching back footage of the controversial game that saw his side’s nine game winning run come to an end. The ‘Well boss was sent to the stand and two of his players saw red during the course of the 90 minutes. Following the full time whistle another player in claret and amber saw red for offering her viewpoint on the refereeing display she had just witnessed – it’s fair to say it was an eventful afternoon. You only need to be in Eddie’s company for a short time to realise how massive a part of his life is taken up by football, so spare a thought for his wife (and Motherwell Ladies defender) Emma, who witnesses and lives with her husband’s obsession for the game on a daily basis. “I think you’d be right to say I’m a football obsessive,” he laughed. “While myself and Emma were watching a game the other night she actually said to me ‘can you not just switch off for a minute?’ I was sitting analysing every detail, I can no longer watch football as a game – I have to analyse it all. “I was brought up in a football family, everyone in the house was mad about football. It was impossible to avoid it, my dad managed youth team and then became a referee, then obviously my own career took off when in my teens – it’s always been there for me and I don’t know any different. “It wasn’t a good night’s sleep on Sunday night that’s for sure and yet if we had taken one of the two chances we had late on I would probably have slept like a baby. It’s all about the end result, people talk about performances and I get that, there’s a way to win, of course there is, but there’s no right way to play football – if there was we’d all be playing that way. “I’m very demanding of others as well as myself. I expect 100%, if you can’t give that then what’s the point of doing it? You’d be as well not bothering. Eddie’s full-on approach to his work is clear, but it hasn’t been without consequence. During his time as manager of Airdrie he suffered a brain hemorrhage at half time in their meeting with Cowdenbeath at Central Park. The road to recovery has been a difficult one, it’s a true testimony to the man, the extent of his recovery, though he is well aware he needs to be careful not to overdo things and credits his coaching staff for helping him avoiding that. “When I was Airdrie I was in charge of the first team, the under 20s and the whole academy, then people wonder why I had a brain hemorrhage,” Wolecki Black said. Recently Eddie travelled to America for pioneering treatment that was brought to his and Emma’s attention when watching a documentary by Andrew Marr, who has also undergone the same procedure. There are clear positive changes in his appearance since his return, he has noted change in his moods too and although he continues to walk with the aid of a walking stick his coordination has improved. Following his time with Airdrie coming to an end, he would undertake various jobs around football, before being offered the job as boss of Motherwell Ladies. 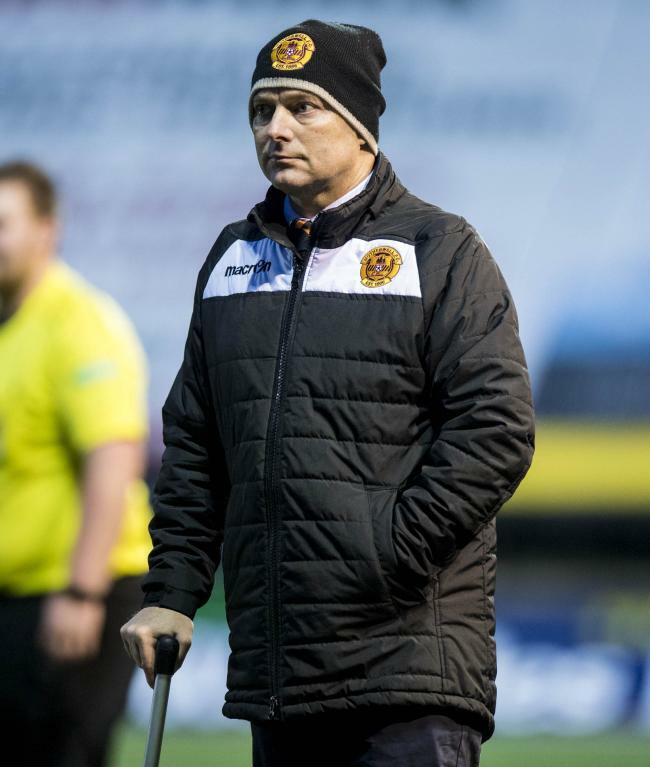 Eddie can’t speak highly enough of ‘Well Chief Executive, Alan Burrows for ‘seeing past the prejudice’ and offering the chance to return to management, although he has certainly gone a long way to demonstrating that he has lost none of his abilities as a coach – guiding Motherwell to the top-spot in SWPL2, where they currently hold an eight-point lead with 10 games of the season remaining. “I was never really away from football, after parting company with Airdire, BSC Glasgow opened their doors to let me in and asked if I would go coach there – that was brilliant for me. Ironically I actually met Graeme McArthur, who was coaching at Motherwell at that time and we became good friends,” Eddie added. “I am very, very grateful for the opportunity that Motherwell gave me, there’s absolutely no doubt about that. It takes a special type of person to overlook the prejudice and say ‘I can employ that guy’ and buy into his vision. Alan Burrows bought into my vision for the club, probably the biggest thing he knew was I’d be able to attract players here as I’ve been around the women’s game for a fair number of years so know the teams, most of the players and have an understanding of what it takes to be successful in the women’s game. “The thing in football is that you can never say anything is long term. You can be one phone call away or one mishap away from ending the acquaintance. I don’t look too far ahead that’s for sure, what I do look at is what is there right now and what is needed to take the team forward. Motherwell are currently on a two-week break from competitive action due to the international break and at the end of the month the league action will stop for its summer break. Typically, of Eddie though, football will remain at the forefront of his mind, even when some of his players are setting off on their summer holidays. “A break gives you a wee chance to mull over where you are and what you are doing. You can also look ahead a wee bit and think ‘what if?,” he pondered. One of the most prominent figures in Scottish women’s football, Eddie is well placed to assess how the game is progressing. This season the league is backed by a sponsor and the media coverage of the game is gradually improving, having overcome negative perceptions and stereotypes. The former Glasgow City boss has experienced the popularity of the women’s game across Europe during the 10-in-a-row title winners’ Champions League campaigns and feels the key to their success is match-day experience. “I heard all the stuff back at the start, ‘wummin playing fitba are ye kidding’ and all the stereotypes that were thrown at them,” the 53-year-old recalled. “There were accusations about their sexuality for example, that spoke more about them than it did us. As individuals if that’s how they were brought up then I actually feel sorry for them. Women’s tennis was in that place not so long ago and now look at it – a person on the street would pay just as much for a women’s match as they would a men’s. “The game is getting there; I’ll never forget going to the quarter-finals of the Champions League with Glasgow City. At the second-leg against Paris, we played at the Parc des Princes and there were 17,000 at the game. “Then in Berlin there’s a team called Turbine Potsdam who have won the Champions League on a few occasions. They’ve got an official women’s team souvenir shop in Berlin, with all sorts of merchandise around the team. The newspapers devote pages to women’s football and they take great pride in their team – that’s exactly how it should be. “I asked a guy in Frankfurt, who were one of the first winners of the Champions League, how they maintain such impressive attendances of four and five thousand at home matches – when you think about it, that’s what Motherwell get at home games. Imagine What Would Happen If We Won A Cup? A question that my group of Motherwell supporting mates quite often ponder, whether it be on the back of over celebrating a good victory in the early stages of a cup competition, a brilliant three points in the league, toppling one of the teams of bigger stature or even ensuring our status in the top-flight of Scottish football. When Stevie Kirk nodded the ball into Alan Main’s net to secure the Scottish Cup for the Steelmen in 1991, I was too young to know what was going on, never mind soak up the build-up to the event, make plans for after the game, or indeed appreciate in any sort of way the magnitude of the occasion – a game that is widely regarded as the greatest Scottish Cup final of all time – just my luck that it came too soon for me! It would be another 14 years until ‘Well next booked their place at a Hampden final, the 2005 League Cup final. At the age of 18, it was up until then, easily the most exciting experience following the club, we had won the semi-final in incredible fashion – defeating Hearts with the last kick of the ball in extra-time and there was a belief that our luck was in…until the game began. Terry Butcher’s team were destroyed 5-1 against Rangers on a day where many who featured for the team have confessed that occasion got the better of them. During the build-up I somewhat naively had never had considered coming off second best, never mind losing by a four-goal margin, instead of sharing the moment where the team lifted the cup surrounded by more Motherwell fans than I had ever seen packed into the one stadium, I remained behind with the few who had resisted the urge to head for the nearest pub – the players walked up the famous steps with their heads slumped, clearly embarrassed at what had been a crushing defeat. We had a night out afterwards, but it was much more drowning of sorrows, despite the achievement of reaching our first final in 14 years, what had occurred on the day badly soured the occasion. I can recall sitting down to torture myself with the highlights the following day and my mum walking into the living room to me sitting with tears streaming down my face, I wasn’t sure if I wanted Motherwell to ever reach the big stage again if that was how badly a defeat hurt. Fast-forward six years to 2011 and 20-years on from the historic success in 1991 the team had a chance to mark the milestone by lifting the Scottish Cup again. The evening before there was parties across the town, fans had travelled from far and wide to make sure they were part of the Hampden showpiece, but again the day would go far from how we hoped. It began with a bus journey where the driver appeared to take issues with bus routes that were allocated to avoid the very scenario that would unfold. With kick-off just 10 minutes away we eventually opted to get off the bus which was crawling round the streets leading to the opposite end of Hampden from where our fans would be housed and into the pouring rain. We missed the teams coming out and the fantastic display that went with both sides entering the field of play. The first sight that greeted me inside the stadium was an early Celtic effort coming back off the crossbar. In truth it never at any stage on that day felt like we ever stood much of a chance, Celtic took the lead in the first-half and although we responded with Gavin Gunning’s shot rattling the crossbar after that it was a match dominated by Neil Lennon’s team. In the second-half Stephen Craigan would deflect an effort into his own net with 14 minutes remaining and Charlie Mulgrew’s free-kick put the finishing touches on what had been a rather dismal day. Time for another night out, without much of a reason to celebrate. Again, it would be another six years until the team would find themselves in a national final and while the League Cup final in November 2017 brought another defeat to Celtic and a failure to find to the net, there was a totally different feeling at the full-time whistle. Celtic went into the final on the back of an unbeaten run which spanned almost a season and a half, any challenge that they faced domestically they took on with what seemed like an element of ease, yet on that day at Hampden, Motherwell demonstrated no fear and went toe-to-toe with their opponents. Indeed, had it not been for a wonderful stop from Craig Gordon to keep out Louis Moult’s header or Craig Thomson’s ludicrous decision to award a penalty and send-off Cedric Kipre, who knows how the game may have unfolded – what was clear though was that Motherwell had shown up – it had taken 26 years, but it finally had happened. By the time the full-time whistle went it was the ‘Well fans who could be heard, showing their appreciation for the spirit that their side had shown. The players could hold their heads high as they collected their runner-up medals too, they may have been beaten, but they were far from disgraced. The number six has been prominent since that 2005 final, with six-year gaps between finals. This time though, the gap has been just six months and we are currently counting down to the Scottish Cup final. In what has been an incredible season for the Steelmen, manager Stephen Robinson has lead the team to finals in both cup competitions, beating a host of top-flight teams on the way. We are now just three days away from what is just the third time the club have reached the Scottish Cup final in 66 years and for only the second time in their history can celebrate reaching two finals during the course of one season. Claret and amber is on display throughout the town, local shops are showing their support and the fans have reached a state of fever pitch. With the football club now being under the ownership of the fans through the Well Society, there has never been a feeling of such togetherness between the club and supporters. Again, we go into the game as big underdogs and for the third successive final, Celtic will provide the opposition, however this season has been unlike any I’ve ever experienced during my time supporting this magnificent club. These feelings of excitement have been present prior to the previous three finals I have reflected on at length, but never have I felt the connection to the players and staff on these levels – only yesterday I had the opportunity to record a podcast with Stephen Robinson, which did nothing but heighten my excitement levels. In Robinson, Motherwell have a manager who is driven and determined to put in as many hours as possible to ensure the team and the football club is the very best it can be. He believes in his players and in turn they believe and respect him, he also understands and embraces the ethos of the football club, that has brought supporters and players closer together – a vital element in the success. Given the size of the club, we can’t afford the big transfer fees or the big wage demands, what Robinson has done is assemble a team of hungry young players, who are willing to learn, work-hard and do their very best for the team every time they pull on a ‘Well shirt. Having a bond between payers and fans may seem to some as a strange thing to describe such a thing as vital, however I don’t think it can be understated. As Motherwell supporters we don’t expect to win every game, we appreciate that times also quite often can be tough, even in the league campaign just completed there have been spells where results haven’t been good. The difference this season is that due to the personnel brought in over the course of the two transfer windows by the management team, coupled with the sublime work done by the club’s media team to enhance that feeling of being ‘as one’, the majority of the fans feel totally assured that everyone is doing the very best they can for the club, there is an air of positivity in almost everything the club does – it’s near impossible not to get excited by it all. Anyone who isn’t convinced that the effort is what it should be, only needs to watch the team in action – they are a group of players who seemingly would run through a brick wall for the cause. On the park, I’ve no illusions as to how difficult it will be to defeat Celtic, they are an incredibly strong team, but by the same token, I don’t foresee any possibility that the occasion with overawe anyone in claret and amber. For me there will be no bus, that’s not an experience I’m quite ready to replicate, I’ll be travelling by taxi, with a day alongside family and friends ahead. I hope with everything I have that we can do it, it would mean so much to everyone with an association to this football club, these days don’t come around very often and it’s important to make the very most of it – we’ll get along early, we’ll sing our hearts out, meet with friends who have moved far away, but wouldn’t dream of missing our big day, we’ll laugh and maybe even shed the odd tear – whatever happens though, we’ll never forget the day whether the result be good or bad. We’ll go together as one – players, staff and supporters – can you imagine what would happen if we won the cup? The opening fixture of Motherwell’s Betfred League Cup campaign was a nice way to kick-off the season, a trip to Hampden for a meeting with Queen’s Park, the club’s first visit to the national stadium since 2011 – an encounter that ended in a 3-0 defeat to Celtic in the final of the Scottish Cup. I’m not one to take in friendly matches unless they involve a decent trip on the bevvy, so it was to be my first viewing of Stephen Robinson’s massively overhauled squad. It was also my first venture out of the house following a rather unfortunate encounter with two arseholes with a taste for stealing mobile phones and face rearranging, the day felt like a step into the unknown for more reasons than one.